However, with the acquisition of Project KickStart came some technical debt, which mostly involved the servers running the license activation process for the legacy versions of the product. This process, as you might guess from being over a decade old, is both costly to support and incompatible with our licensing plans moving forward. Accordingly, we’ve made the strategic decision to discontinue this activation server in December of this year, and formally sunset all legacy versions of Project KickStart. This move will allow us to merge the projectkickstart.com and .net domains to resolve on one website, and focus our energies on developing and supporting the new versions of the product. What does the Sunsetting of the old Project KickStart versions mean? If you’re currently using an old version of Project KickStart, it will continue to work until you need to reinstall the product. As a perpetual software product, it does not need to “call home” to verify license status on an ongoing basis, so the absence of an activation server will not interfere with it's continued use. If you need to reinstall your software for any reason, you will NOT be able to reactivate your old license. This may negatively impact some users trying to get more mileage on their software, but we’d remind everyone that the last version of Project KickStart was released in January 2012, and we do not think it unreasonable to sunset a software product after almost seven years. No technical support will be available for versions of Project KickStart 5, or older. 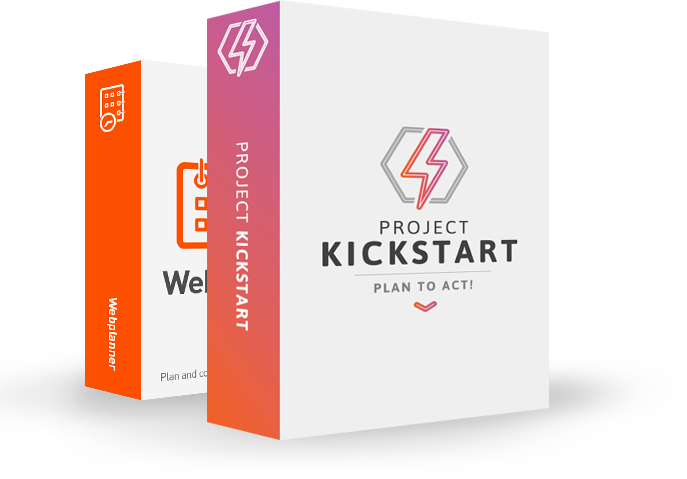 No additional licenses of legacy versions of Project KickStart will be available for sale on our website, or through any authorized resellers. To reduce the impact of this decision, we’re offering existing Project KickStart license holders the opportunity to upgrade their software to Project KickStart v6 through the months of October and November 2018 for 20% off the list price of $249.95 USD. We believe this offer provides some cost relief for past customers, while delivering a refreshed, upgraded project management experience that now works with the new HTML5 version of Webplanner.com. We've also bundled 3-months of free Webplanner subscription with each Project KickStart subscription to help our customers realise the natural synergy between these two platforms - namely to build projects in PKS and deploy them in Webplanner. Rest assured, both Project KickStart v6 and Webplanner can open past versions of PKS project files and templates, and integrate with Act! v16 forward. The new Project KickStart is compatible with 32-bit versions of Outlook 2010 and later, as well as with all versions of Windows from versions 7 (32 & 64 bit) forward. Thanks for your support, and we look forward to starting this new journey together.